The overhead crane called the bridge crane, is the lifting equipment for hoisting materials over the workshop, warehouse and stockyard. The crane runs longitudinally along the rails on both sides of the elevated bridge, which can make full use of the space under the bridge to lift materials without obstacles by the ground equipment. It is the most widely used and the largest number of lifting appliances. 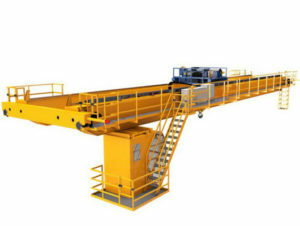 The bridge crane is an important tool and equipment for mechanization and automation in modern industrial production and crane transportation. Therefore, the cranes are widely used in indoor and outdoor industrial and mining enterprises, steel and chemical industry, railway transportation, port terminals, and other departments and places. In terms of management, we should always reflect on and summarize and continue to learn new theories so that companies can continue to innovate, maintain their vitality, and advance with the times that will not lag behind the times. Before fully introducing the crane management model, corporate managers can make improvement according to the actual situation and the company’s production site management level. We will put forward the conduct comprehensive introduction, and implement overhead cranes in comprehensive production management and lean production. The overhead crane is a kind of lifting equipment with various functions and is composed of the single girder and double girder bridge crane. 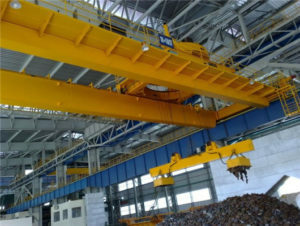 Compared with the double beam overhead travelling crane, the single beam overhead travelling crane has many advantages including the light weight, novel structure, low noise, easy operation, low noise, safety and reliability. 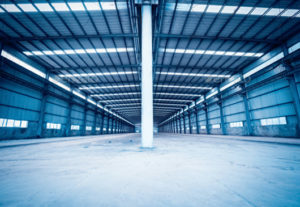 It can be used in the factory, workshop, and warehouse to load and unload small-scale materials. If you have some needs, it can be used in the some ports other working sites. All in all, although it has small scale and light weight, the product has various functions and meet many customers’ demands. 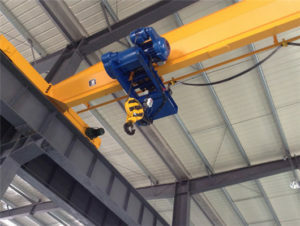 Compared with the single beam overhead bridge crane, the double beam crane has wide usage range and it can be sued in construction sites, docks, open-air stockyards, warehouses, factories and other working places to lift large-scale or heavy materials. If you have some needs, we can install more safety and reliability devices such as remote controller, heating equipment and so on. 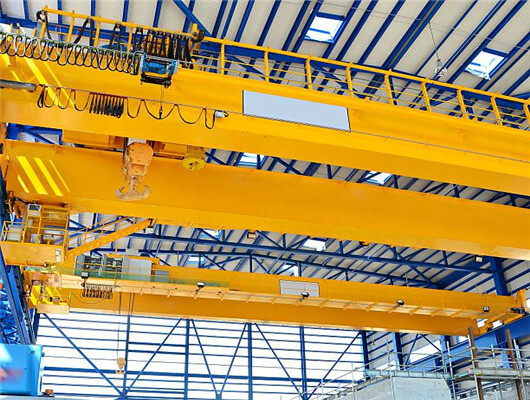 Recently, with the development of society and technology and science, the tonnage of overhead crane is very popular about many countries and regions. Our company can produce a variety of the different tons of overhead bridge crane, which can meet users’ demands according to the requirement. As the leader of many lifting equipment manufacturers in construction machinery in China, we are responsible for the quality of our products. In addition, we can produce the different tonnages with many advantages of high quality, good performance, beautiful exterior, low noise, safety and reliability. 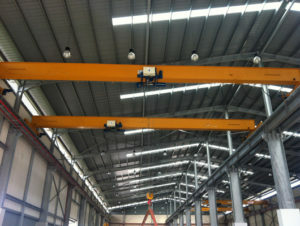 There are light duty overhead crane of 1 ton, 2 ton, 3 ton overhead crane and son on. 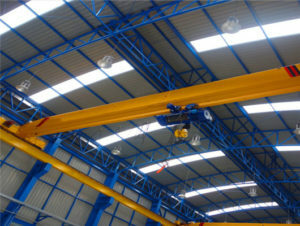 Besides, there are still heavy duty overhead crane of 50 ton, 60 ton, 100 ton bridge crane and so on. 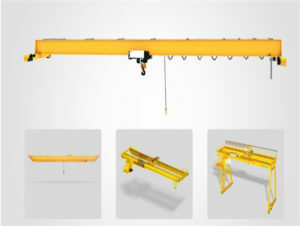 If you want to order or purchase other tonnages of crane, you can contact us as soon as possible. If you have other ideas, we can give our advice and help you find out the right one. Although the bridge crane is a common crane in industrial environments, it can be widely used in different situations and environments. Its picking device is suspended on a crane trolley, hoist, or jib crane that can run along the bridge, and the bridge beam, which is directly supported on the rail by the operating device. According to the different occasion forms, there are divided into working sites of many types such as the workstation overhead crane, garage bridge crane, indoor and outdoor overhead travelling crane, etc. Among them, the workstation overhead crane can include overhead crane of many different function types with double and single bridge cranes, and son on. Generally speaking, all of them almost can work in the harsh environment at the temperature of -20 to +40 degrees. If you want to buy special overhand crane which can be suitable for different working conditions, you can email us or directly call us. We can make the non-standard design. 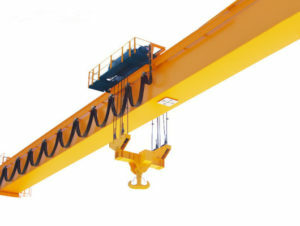 The different occasion’s cranes can meet the customers’ and lifting equipment’ demands. Choosing our products is your best choice. 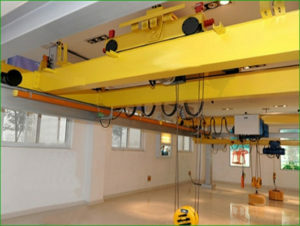 Our company’s overhead crane has a variety of types with different functions. After more than 30-year development and research, our experts design various crane types, which not only keeps the original working way, but also increases high standard lifting and safety devices on the basic. Our firm mainly designs the single girder eot and double beam eot overhead crane, the explosion proof, pendant overhead crane and other types of bridge crane. They can be suitable for the different working sites. For example, the magnetic overhead crane can load and unload magnetic materials; the explosion proof overhead travelling crane can work in sever environment at the explosion condition. The way not only improves product’s working process, but also enhance the entire machine’s material handling ability. In addition, we design the national standard and international advanced technology. 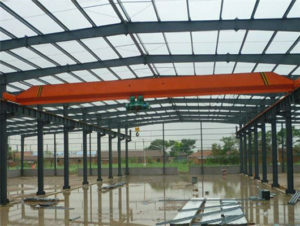 No matter what you want to buy the crane is small type or larger type, we can meet your requirement. Any needs, do not hesitate to contact us. 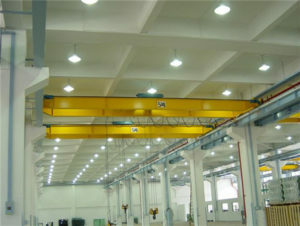 Overhead crane operation is a common lifting appliance that includes the heavy duty and light duty overhead crane. The light heavy overhead traveling crane has many advantages of light weight, compact structure, delicate operation, safety and reliability. In some limited places, they only need these small size bridge crane to operate the lifting equipment. Sometimes, compared with other cranes, it can finish special tasks that other cranes can’t be completed well. In addition, it can save a lot of labor and financial resources. 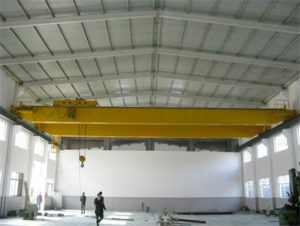 Then, for the heavy duty overhead bridge crane, it adopts many advanced technologies according to national standard. 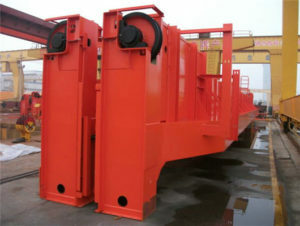 The lifting product can load and unload many large-scale materials. 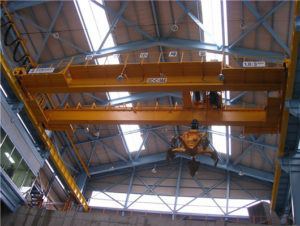 The large-scale overhead crane generally has the several operation methods. Under normal circumstances, we adopt the driver’s controlling room. Or, sometimes, we add the remote controller to coordinate the operation of the entire crane in order to protect personal and product safety. If you have other advice, we can add your some ideas to install some special safety devices. 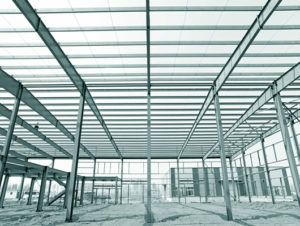 Steel structure has many different types and shapes in our company. We can customize the products according to national standard. generally speaking, the steel structure has good direction of development. on the one hand, it has light weight and users can fast transport to working sites. on the other hand, it has easy installation, it doesn’t need cost lots of time to install your structure. 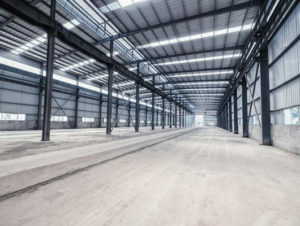 in addition, it can be built with various types such as steel structure warehouse, steel structure workshop, steel structure house, steel structure factory and son on. If you want to learn more, please get in touch with us as soon as possible. 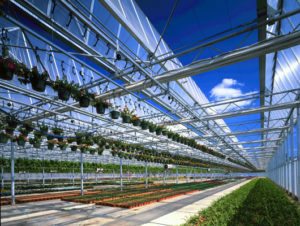 Our steel structures are your best choice. If you want to order or purchase our products, we will give the reasonable price. Welcome to visit our factory in China. According to different requirements, there are many type cranes with hook, including QZ model, QDY model with hook foundry, E.O.T. model, QY insulating model, and QB explosion proof model. According to the utilization and load condition, the entrance of the drivers’ controlling room has three methods depending on the users’ the convenience. It mainly consists of bridges (including main girders, end beams, crab travelling rails, walking railings, driver’s cabs, etc. 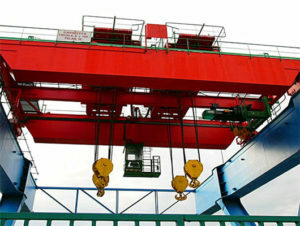 ), lifting crabs, trolley travelling devices, and electrical control systems. 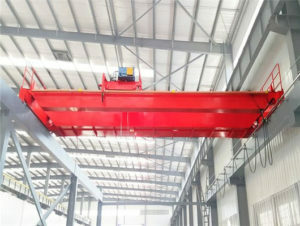 The lifting crabs are equipped with lifting mechanisms and crab travelling mechanism that run transversely along the trolley track on the main girder of the bridge, and the crane runs longitudinally along the elevated track of the open space. Generally speaking, the crane ‘s operation can be all done in the cab. If the clients have some requirements, our group Weihua can add remote controller. In the cab, the operator can expand the surrounding vision and can effectively avoid accidents. 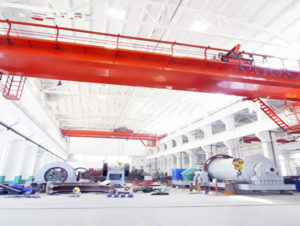 This kind of operation room is usually used more for double girder overhead cranes and gantry cranes. If the customer has special needs, we will arrange the appropriate method for you to customize the product. 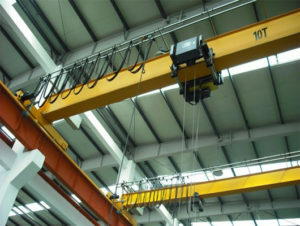 The hoists are the small equipment , can be mounted on the overhead cranes, gantry cranes, jib cranes and other equipment. Through with hoists, the products improve the working efficiency. In order to strengthen equipment management, rationally use, maintain equipment in a good technical state, and ensure product quality that they can be continuous, stable and safe production, our company gives full play to equipment efficiency, reduce production costs, and increase economic efficiency. These measures are formulated. With the use of hoists, this machine production has generally increased. We specialized in this field for more than several decades. If you have some problems, you can ask our staff. They will spare no effort to help you. 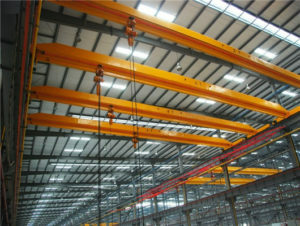 For the lifting height and speed, compared with other overhead cranes, its utilization range is more extensive. 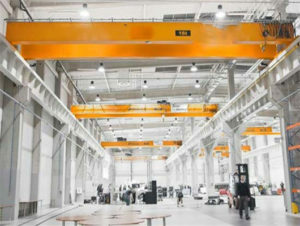 Overhead cranes hung objects in the factory that can be used for six directions to complete the movement of objects in up, down, left, right, front and back. 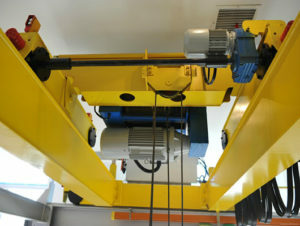 The crane is driven by the cart motor to move left and right along the cart rails on the workshop floor. 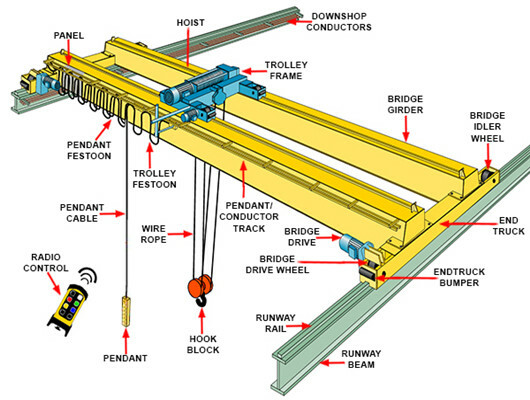 The trolley and the lifting mechanism move back and forth along the track on the bridge. The lifting motor drives the lifting mechanism to drive heavy objects to move up and down. The working environment of bridge cranes is rather harsh, but we have certain speed regulation requirements. The design has a reasonable lifting speed. When the object unloads and loads light materials, the speed will be fast. When the loading goods is heavy, the speed will be slow. When the lifting starts and the weight drops near the predetermined position, it will operate at a low speed, so the speed will be divided into several gears for flexible operation. To ensure personal and equipment safety, we use safe and reliable braking methods in parking. The machine has complete protection ways, including short circuit, overload, terminal and zero protection. As one of the important equipment in the working process of the factory and the port, bridge cranes have a great influence on the output of products. 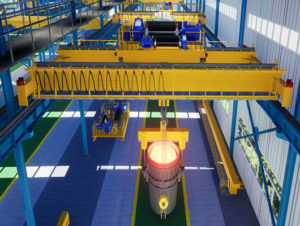 During the operation of the crane, it may experience some failures during long-term working, which has an impact on people’s production and life, and at the same time it also has a great impact on the economic benefits of the company. In this regard, it is necessary to actively strengthen the detection and elimination of faults in the course of operation. 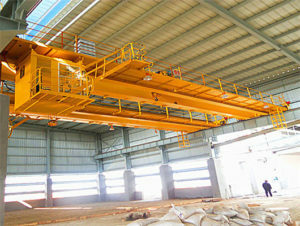 To different problems, different measures must be taken to solve them so as to improve the operation level of the crane. At present, our company’s fault diagnosis technology for products has been rapidly developed, and the working ability of the products has also been improved to some extent. However, as the complexity of various equipment becomes higher and higher, the diverse applications are favorite and popular with many new and old friends. In addition, the crane adopts automatic diagnostic control technology which can strengthen to ensure timely repairs in the event of failures and the stability of the operation. Therefore, in the daily management process, it is necessary to strengthen the monitoring of the working status of the crane, which the user can identify problems in time, then solve various problems. The staff should do a good job of maintenance in time, do maintenance management on a regular basis, and strengthen the application of intelligent technology to improve product performance and ensure production and quality. As the supplier, it is our responsibility. Please let us know if you would be interested in the overhead crane and learning more. Please don’t hesitate to contact with me. We promise that we will supply you with the products of high quality.